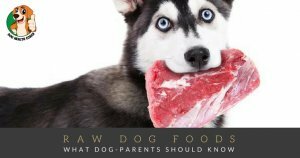 Can dogs eat garlic or is it really a dog killer? Vet approved! Can dogs eat garlic or is it really a dog killer? Humans have used garlic as a flavoring agent for many centuries. In fact, today many people use garlic as a health aid to prevent the common cold, relieve joint swelling, lower blood cholesterol and decrease high blood pressure. There are also some anecdotal reports that garlic can help prevent the regular infections. And as you know garlic is available in many forms today such as powder, cooked, raw, garlic salt, and even garlic cloves. While there is no question about the health benefits of garlic for humans, can dogs eat garlic too? Can dogs eat garlic or garlic powder? First, it is important to understand that garlic is not part of a dog’s regular diet. Dog diets are bland and do not consist of spices and herbs. As a matter of fact, dogs and garlic or garlic powder do not go together. Pet owners often ask if their dogs can eat garlic supplements. The answer is NO! Garlic powder, fresh garlic, garlic pills, garlic capsules or any other type of garlic supplement is not recommended for dogs; garlic can even be toxic to dogs! And be aware that supplement’s ingredients will most likely be concentrated to maximize impact. In other words, their effects can be way higher than those of the “raw” ingredients. So even if your furry friend loves BBQ and the homemade garlic bread, stay strong, it’s really a bad idea. Why is garlic toxic to dogs? Garlic comes from the allium plant family; this same species of plant also gives rise to shallots, onions, chives and leeks. Unlike humans, dogs are not able to break down foods like garlic; their digestion is simply not designed for it. 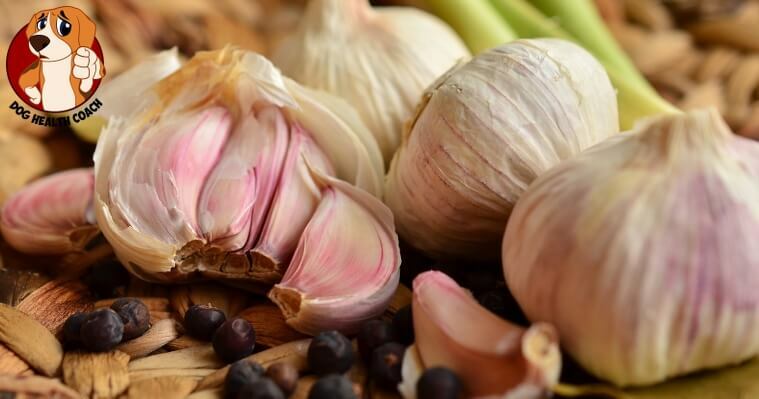 When a dog ingests garlic it can result in a medical disorder known as hemolytic anemia, which basically means bursting of red blood cells (RBC). These red blood cells play THE major role in the transport of oxygen in the body. If those prematurely break down, the dog will eventually suffer from anemia due to a significant decrease in the number of RBCs in the bloodstream, which eventually means less oxygen being distributed throughout the body, resulting in hypoxemia, a condition where there is a severe lack of oxygen in the body. Leeks or onions are already dangerous to dogs! However, garlic is much more potent than these and hence, ingestion of even a small amount by dogs can lead to toxicity. Experts agree that ingestion of just one clove of garlic can lead to severe symptoms of toxicity in dogs. If you are wondering about dogs and mustard, it’s not as dangerous as onions or garlic, but also not a good idea! The symptoms of garlic toxicity in dogs depend on the amount ingested. If only a small amount is ingested it may take a few days before you see the symptoms, but ingestion of a large amount (depends on the amount and the size of your dog) can result in symptoms within 30 minutes. What to do if your dog ate garlic! If your dog ate garlic, then you need to observe it for symptoms. Again if the amount of garlic ingested was small, the dog may not develop any signs or symptoms for a few days. However, if the dog ingested high levels of garlic, then symptoms may present within 30-60 minutes. In any case call your vet to check back! If you suspect garlic poisoning, don’t lose time calling but take your dog to the nearest vet immediately! How is garlic toxicity in dogs treated? There is no known antidote to garlic toxicity and all treatments are supportive and symptomatic. Sometimes the vet may administer activated charcoal into the stomach to prevent further absorption of the garlic. If the dog is in shock, an intravenous line will be started to hydrate the dog. In most cases, close observation and hydration are keys to successful treatment. Blood transfusion and supplemental oxygen therapy may be necessary for severe anemia. Some dogs may have to remain at the vet for a few days until they have fully recovered. Prognosis is highly variable depending on the amount of garlic ingested, the severity of the anemia, and the initiation of supportive care. 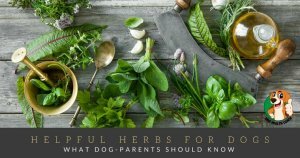 What are garlic benefits for dogs? From a medical point of view, there are no benefits of garlic for dogs. Dogs can lead a perfectly normal life without ever ingesting garlic. Can one apply garlic for fleas on dogs? While there are some people who apply garlic paste on the fur to treat fleas or market such products, there is no evidence to support these reports. Have you made other experiences? How about benefits with a dog’s digestion? There are dog owners who believe that garlic can help with digestion and maintain good health of the dog; at least that’s what marketing promises. Again, never give any garlic pill or capsules to the dog, as the (promised) health benefits in your pet about such supplements are questionable. In fact, you are more likely going to end up poisoning your dog. How about your experiences with such products? What about pet supplements that contain garlic in general? Always make a habit of reading the labels before you buy any supplements for your dog. Avoid supplements that contain garlic. When in doubt, always speak to your veterinarian first. And again to be on the safe side, avoid it all together! How to prevent garlic toxicity in dogs? The best way to prevent garlic toxicity in dogs, is, of course, to avoid giving your dog any homemade or other foods that contain garlic. Keep all powdered and raw garlic in a cupboard where it is out of your pet’s reach. Any questions unanswered? Please let us know in the comments.